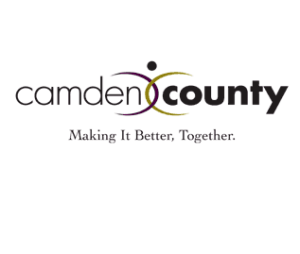 Camden County’s Winterfest Ice Rink at Cooper River Park presents “Rock the Ice” from Jan. 8 to Feb. 14. The world famous professional ice skaters that have been delighting crowds over the holidays will trade in their candy canes and gingerbread men for bright lights and a rocking beat. There are four free ice shows each week: Fridays at 7 p.m., Saturdays at 3 and 7 p.m. and Sundays at 2 p.m. The 60 foot by 120 foot ice rink is the new focal point of Cooper River Park’s Jack Curtis Stadium located at 5300 North Park Drive in Pennsauken. The park has been transformed into a winter wonderland with twinkling lights in the trees, and vendors selling soft pretzels, hot chocolate and other tasty treats. In addition to the show, the Winterfest Ice Skating Rink at Cooper River Park is open Monday through Thursday from 4 p.m. to 9 p.m., on Friday from 5 p.m. to 10 p.m., on Saturday from noon to 10 p.m., and on Sunday from noon to 9 p.m. Skating lessons are also available. Children four years of age and younger will be admitted onto the ice for free. There is a $3 admission fee for kids 5 to 12. Admission for adults is $5 and a $3.00 skate rental fee for all ages. In addition, there is plenty of free parking in lots to either side of the stadium. Visit www.skatewinterfest.com for information on skating lessons and more. Spanning more than 340-acres across four municipalities, Cooper River Park is Camden County’s gathering spot. The park contains multiple picnic areas where friends and families can gather; a 3.7 mile loop utilized by walkers, runners and bikers every day; and, the largest children’s playground in any of the county parks. The Cooper River’s Olympic-distance, 2,000 meter straightaway is widely known as one of the best rowing venues in the country, home to numerous world-class regattas and the Cooper River Boathouse.